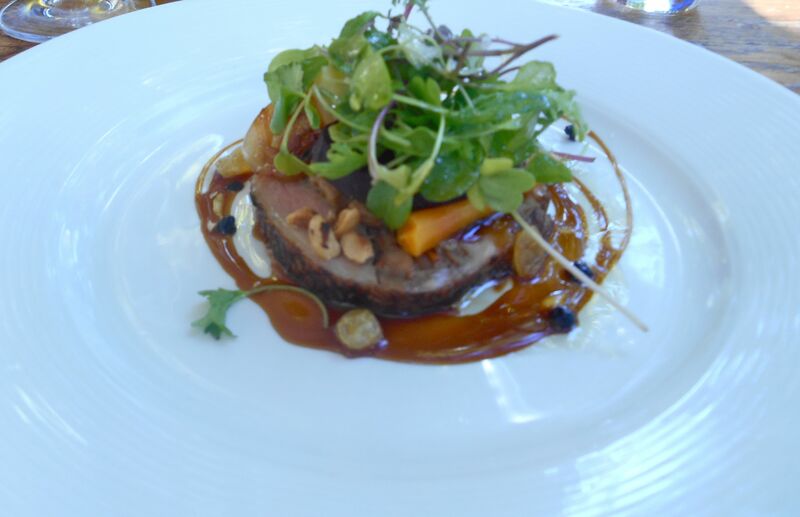 Terroir opened in 2004 and has consistently been listed in the top-10 restaurants in South Africa. 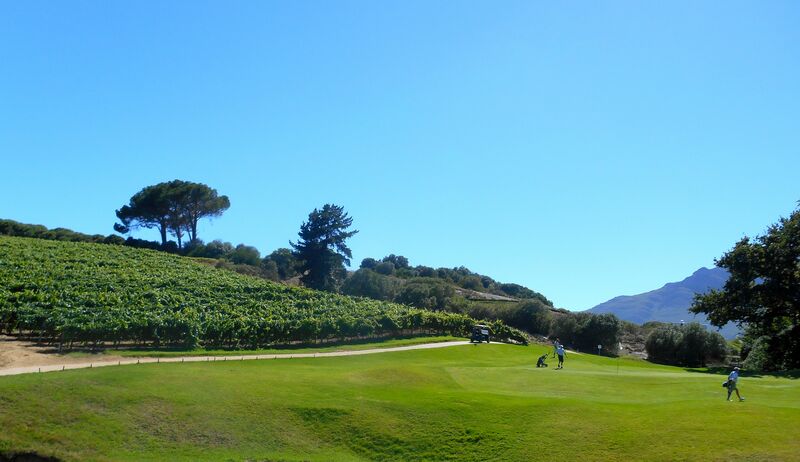 It’s set on the Kleine Zalze wine farm under grand oak trees and looks out over De Zalze golf course and the vineyards. Terroir is the perfect lunch venue. And as there’s a golf course attached it inevitably means an early morning round for the golfers. It’s what we call a day in Wineland Paradise. 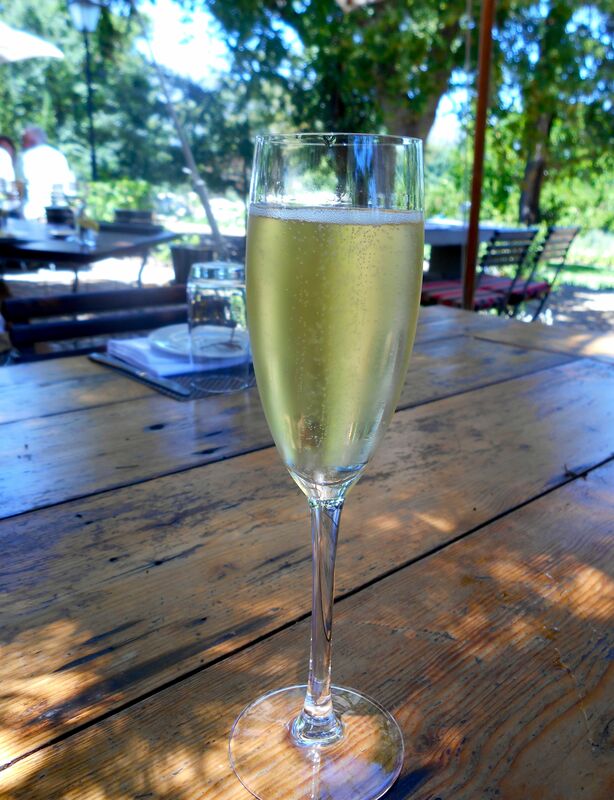 As you settle down in the dappled shade (whether you’ve played golf or not), sipping on a glass of pre-lunch bubbles, all seems right with the world. 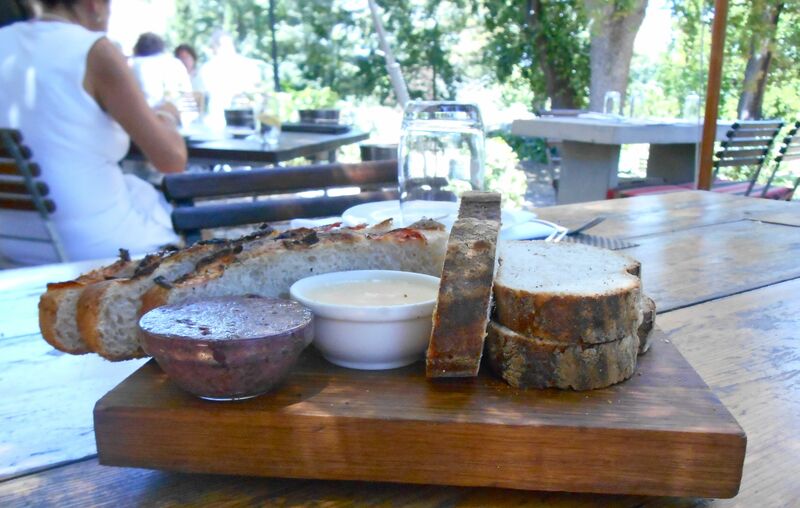 There’s a chalkboard menu which your waitress talks you through in detail and while you’re pondering on your decision, snack on the delicious home-made bread and tapenade. My starter was a diodine of confit duck, rolled up and full of all sorts of delicious morsels, with warm root vegetable salad, foie gras, blueberry and hazel nut. Such a wonderful combo of flavours without being too rich or overpowering. 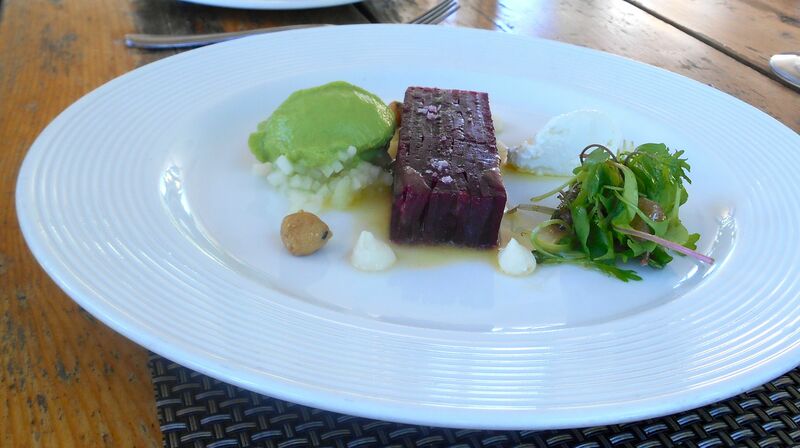 The terrine of beetroot came with lacquered walnuts, sorbet and labneh (a soft cheese made from yogurt). A beautiful summer starter that’s as pretty as a picture. Dish of the day possibly? 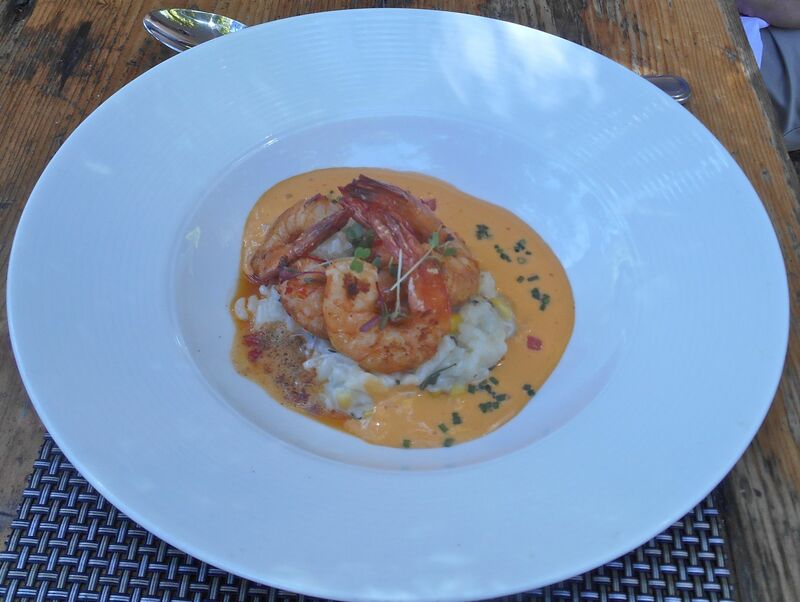 The most amazing prawn risotto with sauce Americaine, which reminded me of the flavours of lobster bisque. And here’s my main. 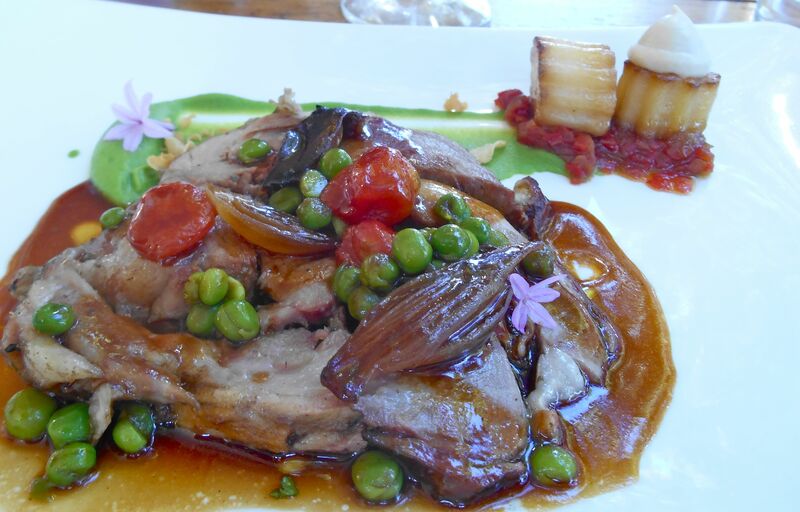 An amazing combo of braised shoulder of lamb confit with pea puree and perfectly sweet vegetables. 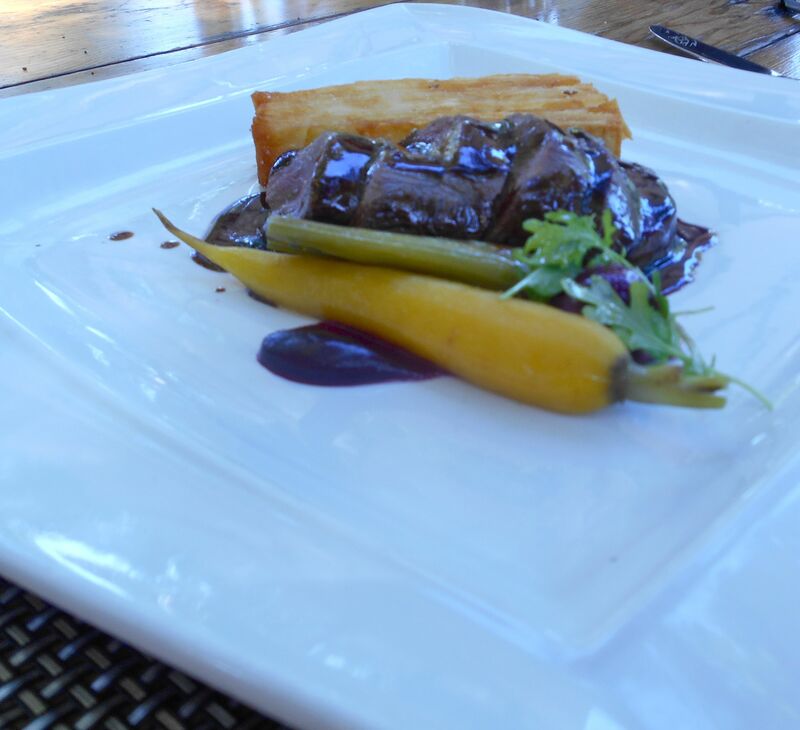 The springbok loin was smoked and served with beetroot puree and pomme Anna. 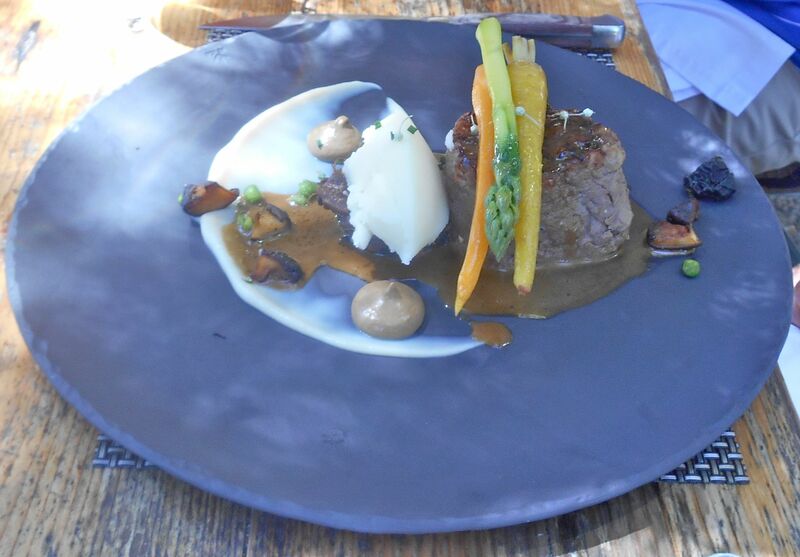 And finally, a lovely fillet of Angus beef with cep sauce, baby carrots and asparagus. And we couldn’t resist the lure of the cheesboard. We started late (hey, golf takes some time), so inevitably we ended up leaving late…well, no one wanted to leave! And even though they were starting to prepare for dinner (yes, it was that late), they let us carry on in our corner. 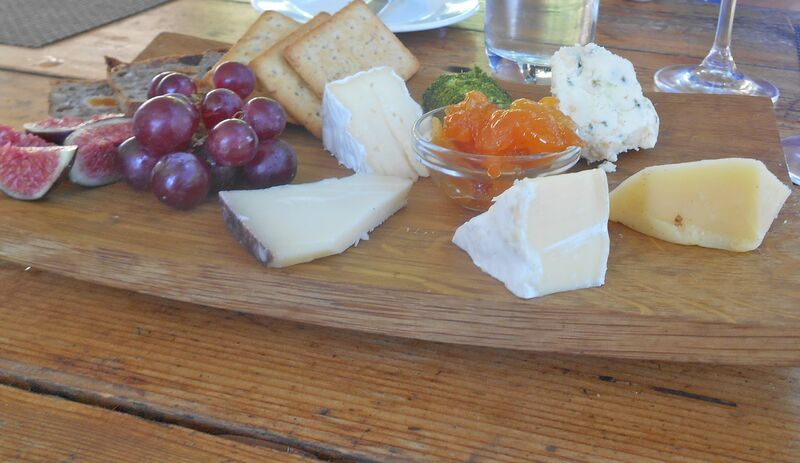 Terroir lunches often turn out this way – once you’re sitting there it is legendarily hard to drag yourself away. I’m already looking forward to the next time.